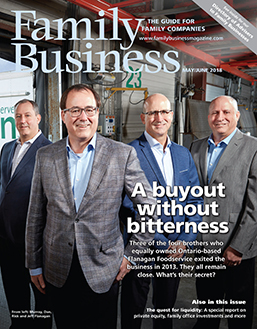 Running a family business can be complicated. This is especially true when it comes to preparing for a smooth transition of ownership, leadership and governance to the next generation. What is the best way to start? While much has been written and studied around succession and continuity planning, the way forward isn’t always clear or easy to manage, particularly since there is no one-size-fits-all solution. As leaders of a recent a peer-to-peer workshop for family business owners and stakeholders, we explored the importance of creating and updating a succession plan.